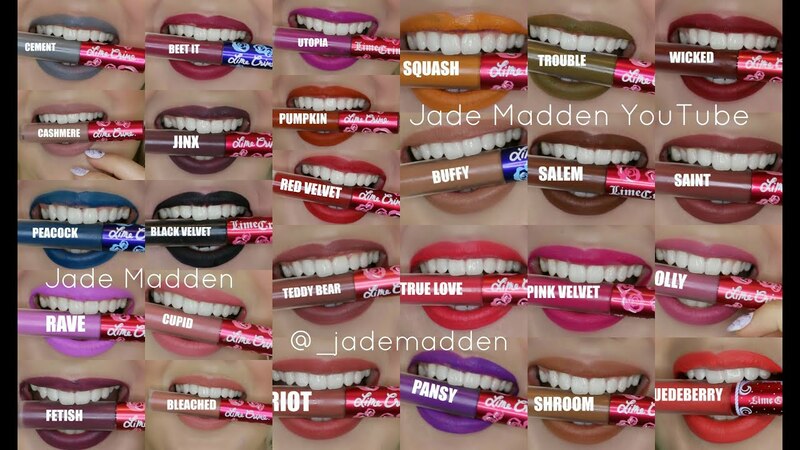 LimeCrime offers various different products such as eyeshadow pallets and velveteen lipsticks. Their velveteen lipsticks offer a dramatic matte finish and they offer a lot of bold shades. Using their products ensures that your makeup looks flawless and polished. They offer a lot of shades that appeal to the alternative crowd so I will be explaining how to create a dramatic, alternative look using their products. First we will start with eyeshadow to create a 90’s grunge look. First you should apply an eyeshadow primer then apply the shade Muse to the entire lid. Then go back in with a darker shade such as icon and apply it to the crease of the eye as well as the outer corners to create depth and definition. Then you will want to apply a highlighting shade such as Aura to the inner corner of the eye as well as to the brow bone in order to accentuate these areas. Lastly, apply Muse below the lower lash line to create more definition. This eye shadow look will pair very nicely with either a dark brown or grey lipstick. This will tie together the overall 90’s grunge look. Lime Crime offers various shades that will go with this look. For instance you could go with Trouble or Cement from their liquid matte velveteen lipsticks. These shades dry matte which means they are an excellent choice if you want to slightly over line your lips because any lipsticks with sheen added to them will make your over-lining very obvious and unnatural. You may want to start with a lip liner to create your basic lines but this can also be done with the lipsticks alone because the applicator is very precise.